Today is the day! The cookbook is here! The Half Baked Harvest Cookbook is officially out for the world to read and cook from! Oh my gosh, I can hardly believe it! We’ve all only been waiting for this day to come for just over two years now. Do you guys remember when I first announced I was writing a cookbook? That feels like it was just yesterday, but also feels like ages ago at the same time. And then when I revealed the cover? Again, that feels like it was just yesterday. I know I say this often, but seriously time just moves too fast. Honestly, it still has not really hit me that I actually have a cookbook. I mean, me? A cookbook? Five years ago I would have never even imagined that could be true, but here we are! I could not be more excited or happy at this point in time. My hope is that you all love the cookbook as much as I do! Since I feel like I have been talking your ears off about the book for the last few weeks now, I’m going to keep today’s post short and sweet so that you can all go read my words in the book today, instead of on your computer screens. For those of you who have not yet purchased the book, you can buy it from these online retailers: Amazon, Barnes & Noble, and Indiebound. It can be found in your local bookstores as well. We’ve also put together a bonus recipe packet. If you purchase the HBH cookbook anytime before October 1st, I will send you a pretty bonus recipe packet that includes eleven BRAND NEW, never before seen, 30 minute dinner recipes. These recipes are NOT in the HBH cookbook, they are NOT anywhere on the blog. These are eleven delicious bonus recipes for any of you who choose to order the book before October 1st. ps. you can instantly download the bonus recipe packet, so you could have the bonus recipes within minutes! OKAY and lastly, the GIVEAWAYS! Without you guys, my kind as ever readers, this cookbook would not have been at all possible. To show my gratitude and all around love for you guys, we are making the cookbook’s launch week all about giveaways. If you follow Half Baked Harvest on Instagram you may have already seen that I kicked this Giveaway Week off last night with the first round of Instagram giveaways. I will be releasing a brand new recipe video featuring one of the recipes from the cookbook each day this week. Along with the brand new video, I’ll also be doing a big giveaway. Soooo, seven days, seven videos, and seven giveaways. It’s going to be really fun, so be sure to follow along. In addition to the Instagram giveaways, we are also doing a BIG two winner giveaway here on the blog today. Two or you readers will have the chance to win one 5 quart KitchenAid Stand Mixer, one set of my favorite spatulas, and one signed copy of the cookbook. 1.) Answer this Question in the Comments Below: what are you most excited to see in my new cookbook? 2.) For Bonus Entries: follow @halfbakedharvest on Instagram and tag your friends in the comments for additional entries and then come back here and leave a comment saying you did so. This giveaway is open for one week and will close on September 14th. The winners will be announced shortly after. Good luck, and again, thank you guys from the bottom of my heart. Hope you all LOVE the cookbook!! ps. don’t forget to tag #halfbakedharvestcookbook on Instagram and share your recipes on stories (tagging @halfbakedharvest) so I can see your creations! 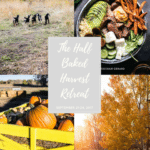 The Half Baked Harvest Cookbook: 11 Bonus Under 30 Minute Recipes with Pre-Orders! I am most excited for the beautiful pictures in your book! I always love the pictures in your posts, they make me excited to try your recipes. Anyway, congrats on your cookbook. I’m excited to see all your dessert recipes that have chocolate in it ‘coz I love chocolate! What I am most excited to see, in your new cookbook, are the tantalizing dessert recipes and phenomenal photos throughout. I’m most excited for any fall-like recipes! I follow and tagged in instagram. I’m most excited to see that beautiful photography and get lots of great ideas!! Congratulations! I’ve been following your blog and making your recipes for over a year now. I cannot tell you enough how much I loooooove your food and how much joy it has helped to create around the dinner table with my family and friends. I wish you every bit of success with your cookbook and as you move forward with all you have going on with HBH!! I also entered on insta and invited few friends! I’m most excited about more inspiration! I love your recipes and have tried so many of them, but the best part about them is they inspire me to try new foods, new combinations, and to expand my food horizons! I am most excited to have all of your recipes in book form to work with… I always reference your sight first when i am looking for a recipe! Also, i am most excited to see your plate ups, your food design is great. I have been reading your blogging for a few years now, and am really s o proud of you. Congratulations! I always love to see the photos…and especially your salads. You are so creative in the way you compose them! Everything!! Ideas, creativity, recipes and beautiful photos! I am most excited to see and try your recipes that have cheese in them . You are always creative with the cheese and don’t treat it like an after thought . Congratulations on your book . Woohoo! I like your variety and use of flavors from different regions on the blog and look forward to seeing that in the cookbook as well! Most excited for recipes I might have missed & new ones I never knew I needed! I love your blog and recipes so I am looking forward to your simple and healthy dishes. Your photos are wonderful! I absolutely love the pictures!! The flavors just just jump off the images! 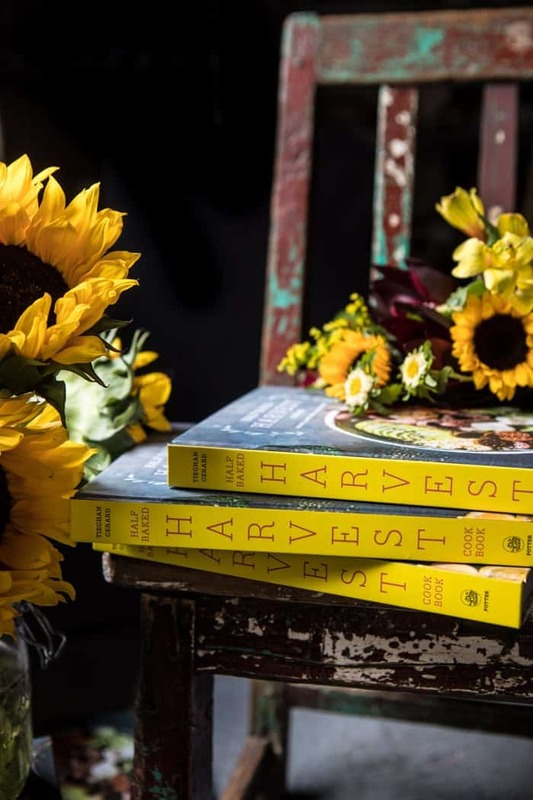 I am also looking forward to reading stories like the ones that accompany your recipes @halfbakedharvest.com, as well as party preparations as I hope to have my home filled with friends and family love this coming year +! I’m SO looking forward to picking up your cookbook! I can hardly wait to see all the interesting flavor and texture combinations that I never would have thought of. Thanks for the inspiration you provide!. Your beautiful photography!!! I love looking at your finished products! I am most excited to see all your hard work, commitment, and love of food come to life on the pages of the cookbook and to get cooking. I’m excited to see new recipes to share with my family. My son was just home on leave from the Army and he asked for some great recipes. I gave him your blog and pre-ordered your cookbook!! Congratulations, Tieghan. I am most excited for more inspiration. I love your photography and recipes and that they are so adaptable to different preferences. Oh my gosh FINALLY! I DMed you on Instagram like 8 months ago asking if you had a cook book and was so happy to hear there was one in the making. I’m excited for your DELICIOUS ideas that are so accessible–you got me into cooking! But for the printed version rather than your blog…I’m excited to see your gorgeous food photography in print. Seriously your photography is outstanding. Can’t wait for this book, congratulations! I am most excited to see you breakfast section- the brioche cinnamon rolls sounds amazing. Congratulations! I preordered your book the first day it was offered and have been looking forward to adding it to my shelves! I have been following HBH for about a year, and I try one of your recipes at least once a week. Every one has turned out as hoped…full of flavor and beautiful to look at. I’ve been looking for a cookbook to ‘cook through’ and I have finally found it! You have a gift and are an artist in everything you do. Congratulations and I wish you continued success! Teighan! I’ve been following you a while, and just tagged a bunch of friends in comments. (I’m @leahsauce!) Thanks for the opportunity, and congrats again! Hi Tieghan! I love your easy weeknight meals and I’m especially looking forward to the gorgeous photos! I’m most excited for all of your dinner recipes. I just moved and started a new job and my dinners need a makeover! I tagged my friends on Instagram and have been following for a long time! I can’t wait to see all your ethnic recipes with the “HBH spin” on them? Seriously I have been counting down the days. And all I can say is WOW to a kitchen aid. Thanks for all the recipes AND for the giveaway. Last night we had your gnocchi in tomato cream sauce. Yum. I’m most excited for you amazing comfort food recipes and interesting flavor combinations in your recipes!! And the amazing pictures you take!! What am I most excited about? EVERYTHING! But as far as the recipes go, I think I am looking forward to the pastas. It’s cooling down in my area, so a big bowl of cozy carbs will be good in the weeks ahead. Congrats Tieghan! I am most interested in seeing how you best use seasonal produce in new and delicious ways! you’re creative recipes and beautiful pictures always amaze!! that is what I’m most excited for! Those salted brioche cinnamon rolls look amazing! Yum! I’m most excited to see something new from what I’m making in my every day meals. I’m stuck in a rut and I need something deliciously wonderful to make and something tells me I’ll find it in your new cookbook! Everything! I loooove your recipes and photography! I am so looking forward to having all your wonderful recipes in one beautiful resource. Can’t resist the looks of those cinnamon rolls. Hey there! First of all, congrats to this huge milestone! I am pretty darn convinced that every single recipe in the cookbook will be awesome, but I am most excited to see some healthy options. Maybe some traditional meals but with a twist? Yeah, that is my sort of a thing. However, even sweet chocolate creations will launch a massive leakage of saliva (disgusting, sorry about that, but truth..). I’m excited to see new recipes with healthy ingredients. Your food and photography are always so beautiful. However, for the purpose of this giveaway, I also really am interested in recipes using combinations of flavors that I would never have thought of in dishes from main course mexican to off-the-wall desserts. Oh goodness, there’s no way I could pick one thing! Some delicious sweets and healthy recipes! And also the pictures! I love your photography work. I can’t wait to try your new dinner recipes! At 60, I was getting a little bored with cooking. I have 4 children and a huge amount of my life has been spent cooking. Burn out was I inevitable. Your recipes made cooking fun again! Thank you. Looking forward to all the wonderful recipes and beautiful photos. I am so looking forward to seeing all your beautiful photos and your oh so creative recipes. They inspire me so. I am most excited to see everything in the cookbook! I seriously don’t think there’s ever been anything you posted that didn’t make me drool or my stomach growl. All of the recipes are going to be great! I know it! I am excited to see your new recipes….I use so many of your recipes every week! I’m excited to try some new recipes! And I always love the photography! Congratulations! I am really excited about the photos — they inspire me so much. I love your recipes and they always make me think outside of the box — to be more creative. I can’t wait for the cookbook. Omg I’m so excited for your cookbook! Literally might run home from work to grab it once I get the delivery notification!!! I’m the most exited for breakfast, appetizers, and the seafood recipes!! I can’t pick just one. Congratulations on all your well deserved and earned success!! The Earl Grey Blueberry Muffins seem really interesting, I’m going to give them a try this week. Ahh congratulations!!!! <3 so excited for the book! I'm most excite for THE DESSERTS! And I follow you on instagram (karlcooks_) and tagged a friend!! Congratulations! So well deserved! I am looking forward to seeing all the beautiful photographs of your delicious food! I’m excited for all your NEW recipes. So excited to see all your recipes in a book. I’m always inspired by your photography and yummy recipes! Can’t wait to get the cookbook!! I am most looking forward to the vegetables. You find the most beautiful ways to bring out their deliciousness! I am excited to have a paper copy of your recipes that I can hold in my hands. Enjoy this wonderful moment! I followed you and tagged my friend on IG. Waiting until this afternoon for the mail to get here is going to be torture today! I am so excited to have more cheesy recipes and fun desserts and reading about how you create all these new recipes! I’m most excited for your trademark delicious recipes and of course the photography. My copy arrives today!! I was going to say I’m most excited for your mexican-inspired recipes and salads and those are always my favorite on the blog, but those cinnamon rolls look amazing! CONGRATULATIONS!!! What an exciting time for you!!! I have been looking forward to looking through the pictures, learning more about you and your life through the cookbook and making ALL the breakfast recipes! Thanks so much for doin an incredible job at everything! I’m so excited to see all of the new HBH creations and the beautiful photography to go along with them! dying to get home because I know you’re book will be there when I’m home from work! Good moro, congratulations on publishing The Halg Baked Harvest Cookbook. I am thrilled that you embarked on this journey and shared it with us , your readers . I am excited about the pictures in the book and making your delicious recipes for my family . I absolutely love the daily recipe and your personal input I receive from you here in South Africa ! We are really big into beautifully illustrated Cookery books in our country and from your daily posts I am looking forward to enjoying every single page, in every aspect. I’m so looking forward to my copy to arrive! I have already cooked one of the recipes from the bonus pack (Healthy Mexican Corn and Hummus Salad – with fresh corn from our garden) and can’t wait for more inspiring vegetable recipes! I follow on Instagram and tagged the folks who eat my cooking most often! So exciting for you!! Congrats! I’ve been following you for almost 3 years, and my whole family(including my daughter 2.5yrs) has enjoyed so many of your recipes. Definitely looking forward to the pasta dishes, and being able to quickly earmark them to make over and over. Your recipes for tacos and ramen have become staples in my home, looking forward to more! Congratulations on your book! I just ordered! I’m excited for the pictures! You always make the food look beautiful! I look forward to some different exciting ways to incorporate vegetables into my meals and of course your sweets! I follow on Instagram, and tagged a great friend that makes your recipes as well. where to start! 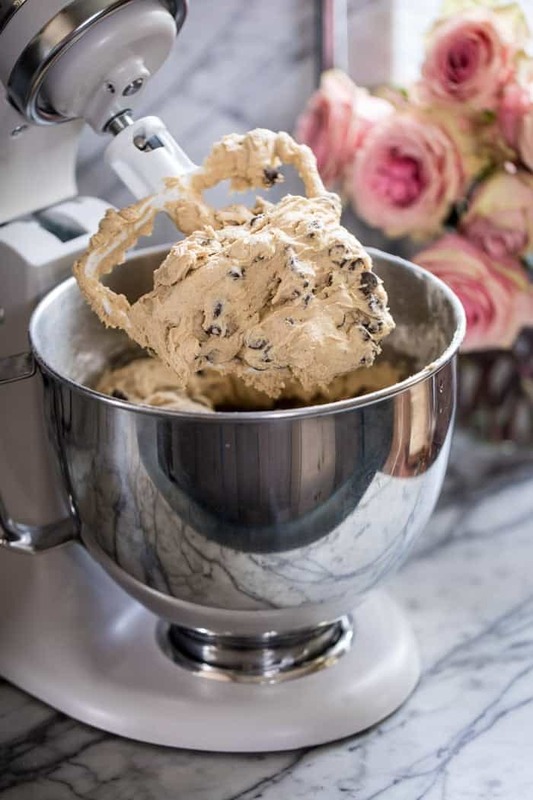 I am most excited for: desserts that involve chocolate, dinners that involve bbqing, and I am hoping for at least one homemade ice cream recipe?! I may be asking too much! I’m salivating already. the funniest thing is that my husband is almost more excited than I am because he gets to eat everything I cook out of it. haha. congrats Tieghan!!!!!! I am most excited to see all of the new recipes and adapt them for my vegetarian diet! I love taking your recipes (the non-vegetarian ones) and finding ways to use vegetables or legumes to replace the meat. And, obviously, the photography! Congratulations and I can’t wait to read it! I’m most excited to MAKE everything in the book! I’m most excited to see a the long awaited cookbook I sure it’s going to be a feast for the stomach and the eyes! I can’t wait to make those gorgeous cinnamon rolls! Congratulations on your beautiful book. Anything my family will love…I have had good luck with recipes I have tried so far. So excited for dinner recipes! Your recipes are our favorites! Followed and commented on Instagram! I’m most excited for the desert recipes! The idea that this cookbook emerged from your passions of food and cooking. This is a natural progression of your journey and confidence, as well as risk-taking! Kudos! I am most excited about the “good-food” wholeness that underpin your recipes. Yum! I am most excited to see all of the presentation of the meals within the recipe book. I have always admired how you have such a elegant rustic feel to your recipes. I can’t wait to see the images that inspire me to make all of your dishes! I am excited to see all your recipes in one place. Your photos bring the food to life and are beautifully done. I’m excited for dessert/cocktail recipes and anything with lots of cheese!! haha And your photos are always gorgeous of course. Can’t wait! I am most excited to see more great recipes I can use to showcase the great seasonal produce I get, and your beautiful photography! Congratulations!! I love all your recipes, but especially the sheet pan meals. I hope there’s one in the new book! I am so excited to see the beautiful food styling- you are so good at what you do! You are so creative, and the photos that you show of your finished recipes look so delicious! All of your recipes that I have tried are just delicious. I’m excited to try even more. And your photography skills are amazing! I also entered on Instagram. I’m excited for all your food! Your pictures are always amazing! But since it’s about to be fall – looking forward to comfort fall food!! I follow you on Instagram and tagged lots of people in your giveaway on there! Woo hoo! I’m most excited for your fun & different yet delicious desserts! I am a big fan of your Brioche Breads and homemade Croissants, therefore I am looking to see some new yeast based recipes. Hopefully I will! Your pictures are breath taking and always make the food look so appetizing. I love that you are doing such a generous giveaway and I am looking forward to this cookbook. I am sure this cookbook will be terrific. The brioche cinnamon rolls look amazing! I’d love to try them! Congratulations, how exciting for you. I would love your cookbook as you are my most pinned recipes. And like many others I absolutely love the photography of your dishes. Awe inspiring. Congratulations! I am excited to see the photos, and recipes for dessert! I love to cook. And I know you won’t be surprised to know I collect cookbooks. It’s always been a special pleasure of mine to follow your “Half Baked Harvest” blog. blog I’ve seen, so beautiful. I don’t know how you do it! I’d love to add Half Baked Harvest to my collection, I’d use it year round! Firstly, congratulations on what seems to be an amazing cookbook! I’m a recent follower of your blog, and so far I have been absolutely LOVING all of your wonderful and delicious recipes, and I’m just really excited to see what new recipes you have in store in your cookbook! 🙂 And like many have already mentioned, your blog photographs are always so beautiful, so I’m looking forward to seeing some amazing pictures in your book as well! Congrats again, and thanks for all of the wonderful cooking inspiration! I’m most excited to enjoy more of your wonderful recipes with beautiful pictures to go along with them in a book I can enjoy. CONGRATS to you on your long journey. We all appreciate all your hard work! I can’t wait to spend hours reading your new book and finding some awesome new recipes! Maybe something along the lines of your fabulous Cuban pork that I’ve made over and over! Ordered the cookbook and can’t wait to see everything in it! Loved your blog and website!!! Good Luck with the book. Those brioche cinnamon rolls look divine!! Congrats on the book release! I also commented on your IG post and tagged some friends 🙂 Thanks for the giveaway opportunity! Oh my word Tieghan how exciting! What am i most excited about? Honestly it’s the salted brioche cinnamon rolls. We are doing a breakfast for my husband and his classmates and I am so excited to make them and send them in. I am most excited to see all your wonderful, yummy recipes. Always looking for new dinner inspirations. You’re cookbook will arrive today, I can’t wait to open it and see all the different combinations of ingredients you so skillfully put together. Love getting your recipes and comments in my Inbox and then putting them in my oven. Now, a whole collection of that !! I am so excited that there is finally a cookbook that fits with real life and is simple and easy to follow. It reminds me of how my mother cooks, wholesome, fresh and delicious meals. Congratulations Tieghan! This is sooo exciting!! I am most excited to see your awesome photos and unique recipes! Can’t wait! I’m equally excited to see your always gorgeous photography, as well as fantastically yummy breakfast dishes! Seriously – you always know when to add an over-the-top fried egg! Congratulations Tieghan! I am excited and looking forward to seeing your wonderfully creative recipes coupled with the charming and quirky style that has become synonymous with you and your Half Baked Harvest brand! I am partial to your veggie recipes! I’m looking forward to anything sweet! Since it’s fall and starting to be colder where I am, I am most excited for the cozy recipes, and some sweet ones ! I feel with summer the only thing dessert related I do is ice cream, but once fall is here, I want to do some baking !! And I can’t wait to try you new recipes !! Also, I sure did follow you on Instagram, and I did tag some friends on the post, obviously !!! Congrats Tieghan! My work day will be so long today as I will only be thinking about your book that I can’t wait to read !!! Congratulations on your new cookbook! I had pre-ordered the other day from Amazon, so i should be getting it soon. This is no doubt the start of more great things in your future. I foresee more cookbooks,… your working on building a Tieghan empire LOL! Best of luck with the cookbook and all your business ventures, however stay honest & true to yourself no matter where your success takes you. That’s why we all keep coming back here, your creative, sincere, & no doubt shows you really love what you do. never lose that. Oh, so what me & the kids are really looking forward to are the….uh, i don’t know that i can narrow that down. I wanna say the photography and the recipes,…but that’s the whole book, so yeah, just looking forward to the entire book, lol! So exciting!! I’m most excited to see the GORGEOUS photos and get trying new recipes! I’m most excited about the dessert section – yours are the best! Congrats! Congratulations! I’m looking forward to simple and delicious recipes. I can’t wait to sit down with a cup of tea and read my new cookbook! aside from the amazing recipes(!! ), i adore your photography <3 the photos are always so vibrant, and just make everything come to life! I’m most excited to see all your beautiful photography and that apple pie recipe. Congrats on the book! Congratulations! I’m especially looking forward to the creative flavor combinations I know I’ll find in the book! I love how you use ingredients I wouldn’t have thought of putting together, with such delicious results. That’s what keeps me coming back to the blog – and we make one of your recipes at least once a week. I’m excited to have so many more to try! I tagged on Instagram. Thanks! I’m most excited to perform these recipes myself! Since following HBH, I have tricked my family and friends into thinking I’m a magical Chef! I am super excited to see the beautiful photos in your new cook book and try new recipes! I am also very excited to make your cookbook my go to Christmas present for all my family and friends, since I am always talking to them about your blog!!! Congratulations and much love! I can’t wait to see all of the pictures. They inspire me to make all your yummy food. I’m so excited to see your book — I have no doubt that it is going to be packed full of gorgeous pictures and delicious meals. I am so eager to see both! I am looking forward to fall recipes! Anything involving apples, pumpkin, slow cookers, soups,etc! I love fall and you have some of the most delicious fall recipes! I most excited for your desserts! Not just the recipes, but the PICTURES!!! I love how you create such beautiful food! Be blessed, Tieghan. Good work! Firstly, MEGA SUPER BIG congratulations with your new cookbook!! I can’t wait to get my hands on your book soon, and look through all your salad recipes(I’m a hure fan of big and hearty salads). Congrats! I’m so excited for the cozy comfort food recipes for fall! I cannot wait to see all of the gorgeous food photos! I’m also on the lookout for new meatless recipes to try out, and I see your table of contents has a section for that! I’m most excited for cozy fall and winter meals–especially since the cookbook is coming out in September, just in time for them. Your other stuff is great, but those seem to be the ones I always go back to (I still dream about the apple cider chicken marsala from last fall…and it’s part of my regular fall rotation now). I am most excited for your glorious pictures and mouth watering offerings. Also to be able to leaf through all the delicious goodness and pick a recipe to try every day. I have had the book on pre-order since it was first offered. It will be there when I get home from work tonight – can’t wait!!! I am excited for the desserts of course! Looking forward to creative flavors in all your recipes! Im just excited to read the content of your cookbook! I’m such a cookbook nerd that I actually sit and read them like novels first when I get them! Plus super excited to try some of your delicious food bowls….cause they are the best! I also entered on Instagram! Tagged my momma and some friends! How can I pick just one thing I’m most excited about?? I want all the desserts! And pretty pictures! But really, I’m excited to hold the physical book in my hands and enjoy the sweet sound when I first crack it open! Is the bonus recipe pack available if I purchase from Amazon Canada? I see the book is listed there – yay! Can’t wait to see more salmon recipes — my favorite! I’m looking forward to the photos!! Your blog is the first thing I look at every morning and I’m always yelling to my husband, “look at this picture! !” They get better every day. Your recipes are a big hit around here and can’t wait to try more! I am excited to see your photos! Your recipes are amazing but the photo’s really make me want to go home and cook! Congrats on the new cookbook!!! I’m excited in equal parts about the mouth-watering recipes and the luscious photography — both are truly inspiring. The pictures so I can vicariously dream. Can’t wait to read the new cookbook. I am excited to see recipes from your barn in the mountains! Definitely most excited about your baked goods! I am most excited for a new collection of your recipes! I have made so many from your blog – excited for a new set to set into action! yum!! Congratulations! I don’t think I can pick one thing I’d be most excited to see. I want to see everything! Love you recipes! Personally, I have been following this blog for some time now. I accessed it through some other sites, and first thing that attracted me were beautiful photos of your recipes. So, what I would be most excited about in your cookbook, are the photos which remind me how they were responsible for my courage to build up and try recipes that usually I would be too scared to begin to do. You see, I’m not from US so there are certain ingredients that are still new and exotic here where live, but these photos made the food irrestistible to just “pass”. Also, the photos, together with those about your barn and beautiful texts that you write, give me a very warm and cozy picture of America and Colorado, about your home and family, and I think that’s the thing that is most appealing, at least to me. 🙂 Sorry if I made some mistakes in my English! Congratulations on your cookbook! I love your photography, your recipes, and your great stories. I’m very excited to receive your cookbook today. I ordered one for myself and two to give as prizes for a holiday program I do for military spouses. I am most excited to see how happy they will be when they receive your cookbook! Honestly, your GORGEOUS food photos. It’s true when they say you “eat with your eyes first” and your pictures do NOT disappoint! Congratulations on a job well done! Everything!! You’re recipes are so unique and I love using them to entertain my family and friends! I LOVE all of your recipes and none have ever failed me. I am excited to have a cookbook filled with your outstanding recipes and gorgeous pictures! Congrats on the cookbook! I’ve been following your blog for a long time and am excited to get my hands on a copy! The recipes I’m looking forward to the most are the ones with the most cheese! I am so excited to see the beautiful photos that accompany your recipes! Whenever I make something from your blog, I am determined to make mine look as beautiful as yours. I am also looking forward to some inspiring dinner recipes! I can’t wait to see the food styling. Your photos make me want to cook! Congratulations on you cookbook and hopes for your continued success! I love cookbooks (at least good cookbooks) and yours has to be the best! I love cooking when I have time!!!! Congratulations!! I preordered my book a loooong time ago and was notified that it shipped yesterday!! whohoo! Honestly i’m most excited for the desserts! But anything I make from you is always an instant hit! I tried to download the extra recopies using the automatic download but they never came? any suggestions? Congratulations again!! Congrats! So exciting!! I’m excited about some new, fresh, healthy inspirations from one of my favorite places to spur on my cooking adventures and to see it all come together in the book! As much as I want to bake all the sweets, I looked at the Index on Amazon and I want to make the Tilapia with the Sesame Crust. I cook for my elderly mother, who eats like a bird. But she loves tilapia. That’s got to be first on my list. I’ve become spoiled by your super incentive recipes and their generous use of spices and flavorful ingredients, so I’m definitely looking forward to more of that. Honestly, I can’t wait to see the pictures. Your food photography is so elegant and rich! Congrats! I am so excited for all the recipes, but especially to get more of your creativity with flavors. And the photos are always outstanding! I’m most excited for the beautiful photography (+ amazing recipes)! So happy that the book is finally out, can’t wait to try out all of the recipes. I’m especially excited for breakfast foods, since it is my favourite meal of the day, and salads. Oh, and also can’t wait to see all of your wonderful photography. I’m very excited to see you photos. You have a true talent. The pictures always entice me to try your recipes. Of course I’m excited to see all your recipes organized in a book, but I’m most excited to see your beautiful photographs to go along with the delicious recipes. Congratulations on your first book. I’m most excited for the stunning photos! 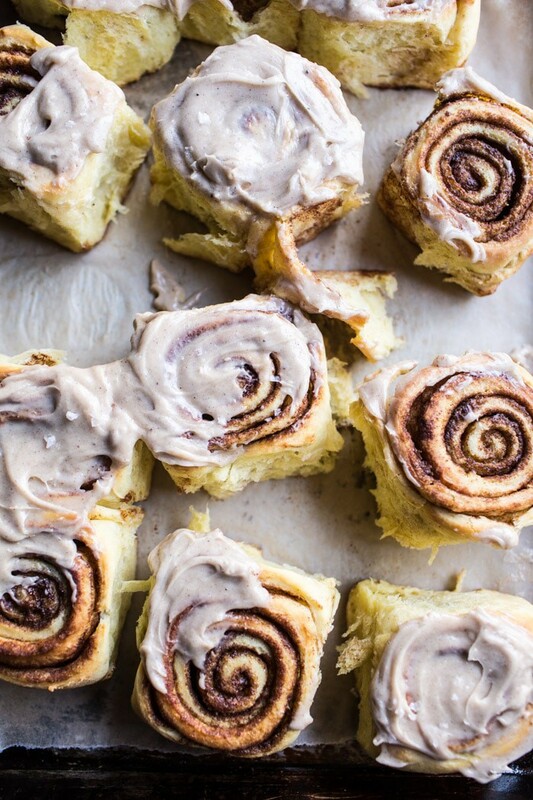 The salted brioche cinnamon rolls already have me drooling and I can’t wait to make those! I can’t wait for the book to arrive on my doorstep so I can start cooking all of the yummy meals from your book for my family. I’ve been cooking your recipes for quite a while now and my family always loves everything that I put on the table. I’m most excited for the comfort food recipes. Those cinnamon rolls from the cookbook look amazing! I already follow you on Insta and constantly send your posts to friends! I’m most excited about new recipes in your cookbook, but, as so many people have mentioned as well – the pictures that accompany the recipes are just as exciting! So happy your book is out! I’m so excited for some fun new recipes and the photography looks incredible! I am super excited to see the photos like many of the others who have posted as well. But what I am most excited for are the pasta recipes – cheese and carbs…the best thing ever! Congrats on the cookbook and I can’t wait to dive into my copy tonight after I pick up the mail – yay for pre-orders!!!! You are so deserving of this amazing opportunity to share another huge part of your life, dedication, and hard work with the world! You are such an inspiring woman! I truly feel that because of you, people from all over the world that share the same passion of being in the kitchen, can look at you and how far you’ve come and say “I can make my dream happen”. I wish I could put into words how you’ve helped inspire me! I am most excited for YOU. I am excited for your writing, your stories, your creativity, the raw beauty in your photos, and the feeling of accomplishment that is about to take over you! I am excited to read future posts on your feelings of finally releasing this masterpiece to all of your readers! 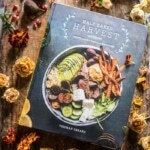 I’m excited to read everyone’s comments on the book, to search #halfbakedharvest on Instagram and see everyone making the recipes. This is a celebration of YOU, for everything you have accomplished. Today, I’m excited to celebrate you, Tieghan! Thank you for the constant dedication to your readers, for letting us in on your achievements, for sharing stories about your family, and for creating this amazing book. You are a role model to so many. Enjoy today, take it all in, and celebrate! Ahhh! You comment has made me smile so BIG. THANK YOU! Happy to announce you are a winner!! I’m an Instagram follower as well =) and have tagged friends! I am excited to see your beautiful pictures as well as your recipes with wholesome ingredients! I love your style of cooking. I’m most excited for the cinnamon roll recipe. That looks absolutely amazing! I’m most excited for the pictures and the creativity of your recipes! Can’t wait for your book- it’s arriving here today! i am excited to see the new recipes and the gorgeous photography. And then to COOK!! I am most excited to be able to dog-ear and post-it note all of my favorite recipes (which if we are being honest is going to be every single one of them!). I can’t wait to have such a colorful book in my kitchen full of notes and batter smudges, and all of the other signs of love and use that comes with having a favorite cookbook! And a huge congratulations to you!!! Oh Wow, Where do I start. The slow cooker recipes, the beautiful pictures, the drinks, the desserts, the soups. I want to make it all!!! !…I will be ordering extras for my sisters for Christmas. Again, absolutely beautiful how you set it up. It definitely stands out from the rest. Congratulations!!! Hi! I can’t wait to start cooking from this beautiful book! I am most excited for new ideas to prepare all of my favorite veggies! I tend to prepare them the same way… like potatoes roasted with garlic and rosemary. I need some inspiration! I am so excited for all of your seasonal, fresh recipes! Your photography is phenomenal. Love your recipes also! Congratulations on your book – I can’t wait to receive my copy!! Can’t wait to see the art of your photography and can’t wait to try the recipes. Can’t wait to see the beautiful photos and can’t wait to try the recipes. I’m excited for the beautiful photography and new cheesy recipes! I always look forward to your beautiful photography! You have a style that is so clearly you and is not matched anywhere else. Congratulations! I am most excited to see all the beautiful pictures. I am also excited to try all the new recipes but your pictures are always breathtaking. Congratulations again on the cookbook! I am most excited for all the beautiful photos!! And, of corise your spin on everything. Are you kidding? I have so enjoyed your blog, and ALL of it’s stories, recipes, and especially your beautiful pictures! I am so excited for your book. I am ready for the whole thing! I’m looking forward to everything! I love trying new recipes. Congratulations on the new book and thanks for the chance to win! Yay!! What an exciting time for you. 🙂 I’m not sure I can narrow down to just one thing I’m excited to see in your cookbook, so I’ll just go with what I’m always looking for – quick dinners! I don’t have to worry about them tasting great because your recipes never disappoint! Thanks and best of luck to you. I am most excited for all of the desserts in the cookbook. Congratulations on the cookbook – so awesome! I’ve actually already purchased the cookbook and have been looking through it and have to say that I am most excited about that insane chocolate cake with oreos in the dessert section! I will have to make it for a special event otherwise I might just eat it all. I have been a long time reader of your blog and my favorite posts of yours are salad recipes and any of your festive posts in the spirit of Fall and Winter, so I’m really looking forward to seeing more of those kinds of recipes in your cookbook. I’m also really proud to be able to order a copy of your cookbook after being a long time reader of your blog. I am most excited to see the desserts!! Yours are always winners! The gorgeous spreads!! Your photos are so inspiring! Followed & tagged on Instagram! Looking forward to seeing savory recipes and all the pictures! Congratulations on the book! I’m most excited to see any recipes that involve chocolate! Mmmm!!! I am really looking forward to seeing what recipes I can make with vegetables that i will grow in my garden next year. Made the tomato soup a few weeks ago and it was divine. I’m most excited for the dessert recipes. Which is not my typical answer. My kids are beginning to cook with me though and my daughter just adores baking. I’ve been looking forward to sitting down with both of them and your book and working on recipes! I can’t wait for either the death by chocolate icebox cake or the salted brioche cinnamon rolls!!! The photos are stunning and are making me SO hungry!!! I just found your amazing blog and am very excited about the cookbook. I am most excited to see all of the great recipes and the beautiful photography included in the book! The stunning photographs and seasonal recipes! I am most excited to see your vegetable recipes. It is hard to narrow it down to one thing I am most excited zbout in your HBH cookbook. I love your passion for food and cooking because those are two of my passions as well. And you are 23!! You will accomplish so much in your life!! Congrats Tieghan!! Definitely most excited about the desserts. The pics look beautiful. So happy for your phenomenal accomplishment … great job Tieghan. You inspire me to have more parties and present food in an entirely new way for my guest. I love the fact that your passion shows through in your recipes and stories of your farm and family. It is rare that a young person is able to find their path so early in life and then share that passion so eloquently with the rest of us. What I’m looking forward to ….. your absolutely amazing photography and creative imagination. I can’t wait to see what you have up your sleeve for your next cookbook …. you are a story teller and I love those stories. Pictures and dessert recipes of course. AND- to display it on my cookbook stand for all to see and share. Congratulations on your gorgeous cookbook & all the hardwork that led up to this moment! With all the gorgeous pictures, it doubles as a coffee table book. I’m most excited to look at the pictures & flag all the recipes I want to make. I frequently find myself pinning your FB post recipes to Pinterest, then getting lost on your Pinterest page and website pinning more. I’m definitely gifting your cookbook for Christmas, as well. XOXO from Towson, Maryland. I am most excited to try new dinner recipes! I follow you blog and make at least three meals a week from it! I love every recipe! Can’t wait to get my copy!! WOWZA~ those cinnamon rolls are making my mouth water. They look fantastic. Cooking is my #1 passion in life right now and I love to collect cookbooks and try out new recipes. This looks like the perfect book for fall. I’m excited to try your dessert recipes! Commented and tagged a friend on Instagram. Can’t wait to make the Healthy Slow Cooker Butter Chicken!!! Currently visiting my husband’s family in Turkey and my preordered copy gives me something great to look forward to when it’s time to go home! Can’t wait for some great cozy family recipes and gorgeous photos! I cannot wait to get the book when I arrive home today! I am most excited about the new ingredients I am going to find and the creative ways you mix things together! I cannot wait!!! I am sooooooo excited for your 1st cookbook!!!!!! Mainly for the recipes, duh, and the beautiful pictures!!!!!!!! Love your recipes. Shared on instagram with my sister-in-law as she is a great cook. I’m most excited for dessert recipes! I was going through some of the recipes via Amazon, and I’m most excited for the Earl Grey Blueberry Muffins! Oh em gee! Im SOOOOO excited for my book to come Thursday!!!! Im most appreciative to share your enthusiasm,and joy of cooking for your family,and presenting your compositions in such a beautiful manner, with my daughter . Your cookbook is a guide to “Domestic Goddess” of all ages! Congratulations and blessings for many more years of success. I’m SO excited for the mail to arrive today! I can’t wait for my cookbook. I’m so excited to see your recipes. And the fabulous photos. I know it will all be great. Congratulations to you and all your hard work, Tieghan! I Tagged a friend on Instagram! I can’t wait to see the dessert recipes. Have loved baking with you for so long. Best of luck on the new book. SOOO excited this is out and I can’t wait to receive it in the mail! I am very excited to read about how the recipes came about and the background behind them. Your ability to articulate your flavor combinations into something that let alone isn’t just tasty but full of personality is amazing! Congratulations of the success it is much deserved and so happy to see the new recipes and the prospering future you have in store! PS- my families restaurants head chef and I always run to each other to talk about your new recipes and how great they are! I love your blog, follow your amazing photos on instagram, and cannot wait for the cookbook to come out! I am excited to have a cookbook with real and wholesome ingredients that come together in delicious recipes to cook with throughout the whole year! Your recipes will definitely make numerous appearances in my family this holiday season!! Those salted brioche cinnamon rolls will definitely be must 🙂 Thank you for sharing all of your yummy food with us! I’m excited to see all of your photography plus whatever dessert recipes you’ve come up with !! Congratsss Tieghan!!! I am most excited for the variety of recipes, you will be sure to have something to please everyone in my family! Oh and looking at all the wonderful pictures!!! I can’t wait to see all the gorgeous pics of food in your new book! Can’t wait to try the salted brioche cinnamon roll recipe! Can’t wait to see the new pictures and new flavor combinations!! Bone in Chicken Recipes, or Pork Chop Recipes, as well as the Soups! Peanut Butter Crunch French Toast – OMG! I can’t wait to see your beautiful pictures! It’s what really brings your recipes alive. (besides actually making them lol) Thanks for the giveaway! I am excited to see all your drool-worthy photos! It’s always TOO hard to decide which recipe to try from your blog…everything looks so good. I’m most excited to see your unique dinners. I know I can always count on you for a fancy feast! Tagged my friends!! I hope I win but if I don’t, I’m buying the cookbook for sure! Most of all the recipes BUT your photography is gorgeous. Makes you want to try the recipes. I love the homey-ness (is that a word) of your blog, etc. Love to hear about the family and your new adventures. Congratulations! I’m excited to literally try every recipe! I been a loyal reader and your recipes are my favorite. I’ve already ordered 5 copies of your books to give away to mom and friends. I got my notice yesterday that Amazon shipped them out and I CANNOT wait!! Congratulations on your cookbook! I am most excited for fall dessert recipes! I love the easy dinner recipes on your blog (making your sheet pan poblano chicken fajitas tonight btw) and am excited to see some new ones in your cookbook! As you might be aware, I often feature your fabulous recipes on my blog, Shop This. It’s always so hard to decide which recipes of yours to include. Personally, I have been making your no churn ice creams all Summer. A family fave is the Malted Vanilla and Peanut Butter Cup Chip. This is a very fun way to launch your book. I hope you sell a million copies, and I am sure that you will. So excited for you Tieghan! All your hard work has turned into one of the best cookbooks EVER! Congrats! Tieghan you are an inspiration! Being able to work at what you are passionate about is pure joy. I love your photos from start to finish! Thank you for this wonderful cookbook. Everything! The pictures, recipes and interesting ways to combine delicious ingredients. Congratulations! I’m most excited to see your creativity. Cooking is such an art. You take a simple recipe and make it into a masterpiece. I’m so excited to get the cookbook today!! I always feel like an amazing cook when I make your recipes. Congratulations on this milestone in your life!!! Honestly, I’m just excited to see all of your hard work come together into something I can hold in my hand and display in my kitchen! My pre-ordered one for myself and another to give to my bestie for her upcoming birthday. Yay! Congratulations, Tieghan! I am most excited to see the recipe for Salted Brioche Cinnamon Rolls in your new cookbook. I love fabulous cinnamon rolls. Spectacular pictures to go with your amazing recipes! Your blog is one of the very first I check every morning! Your photography & recipes are wonderful! I can’t wait to see your cookbook & have it in my kitchen to look at whenever I want. Congratulations! I am most excited to see the recipes that will challenge me to do something in the kitchen I’ve never done before! Congratulations! This is so exciting. I read cookbooks like novels. I really like your recipes and love your photos. I am excited to just read and admire the book! Your recipes are delicious tasting and photographed beautifully. I’m sure your cook book will be nothing less than fabulous. 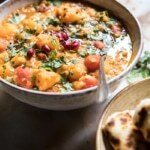 I am most excited about getting inspired to continue learning how to cook delicious vegetarian meals; only recently have I found the motivation, inspiration and courage (lol) to try cooking more after several years as a vegatarian and a few years after I moved out of home for university, and one of the reasons is your blog. Hmmmm, favorite thing or things? Anything with cheese! Anything with chocolate! All the beautiful photos! I pre ordered your cookbook so I don’t haven to be in suspense much longer! Thank you and Comgratulations! Your cookbook just arrived! It’s resting on my lap now. I’m most excited to see all your dessert recipes and vegetarian recipes. BUT I’m also excited for your slow cooker butter chicken recipe. I’m about to make it for my husband now, and then I can dive in and really enjoy reading your cookbook! I am most excited to see your lovely photos. I’m most excited to see so many of your great soups! I’ve enjoyed a few of them now, and as it’s coming up on cold weather up here, I’m excited to see them all together and discover new ones to enjoy this fall. Congrats! Amazon should be delivering the book today so I’m excited to get home from work and page through it. I’m most excited for the photos and also just new, inspiring ideas which you always provide. Congratulations on your cookbook! I am so excited to see your over-the-top, chocolate-filled desserts and lots of cheesy pasta dishes. I love making the recipes from your blog, so I can’t wait to try new recipes from the cookbook! I also followed on instagram and tagged a friend. Definitely looking forward to reading what you wrote about each recipe, your writing style, the story behind each dish. To me that’s the soul of a cookbook. Plus wonderful recipes themselves of course! I’m excited to be inspired by meatless meals. We’re serious carnivores in our house, so making meals sans meat is a challenge for me. You always come up with interesting combinations and preparations for healthful, veg based meals. Also, baking at altitude – takes one to know one! Your food styling and photography are the stuff dreams are made of and I can’t wait to gift your book – to myself first and then to everybody else! I am most excited for easy meals and new healthy options that my family will love! I am excited to look through new recipes to get new ideas for dinner!! Also with fall coming, I am looking forward to making soups and stews. I am most excited to have physical copies of the recipes at my fingertips. I’ve saved many of them in my inbox that I want to reference again. But having them in my kitchen is even more helpful! Already follow you on Instagram, but I tagged some friends!! Amazon sent me your cookbook yesterday and I’m already obsessed with all of it! I have started reading it like a novel, from cover to cover. The very first toast recipes have already sucked me in and I’d love to cook every recipe from your book, Julia & Julia style. You continue to be an awesome inspiration! I’m excited to hopefully see a few pictures of Asher! – to see a fellow Ohioan absolutely rule!! – to fall in love with all of this food! So that I can also share it with all the people I love. Each recipe I’ve made is delicious for more reasons than the food- it generates some amazing conversation. I also did comment on instagram! I’m most excited to see your new recipes and beautiful pictures! So exciting. I love all he flavors you incorporate in your recipes. So looking forward to all the recipes. And those gorgeous pictures! I’m super excited to cook (with my fiance) every single dish in your book! so happy for you Tieghan! Bakery Goods are my love! Lovely pictures and exact measurements help me to make lovely presentations. Is it boring to say that I’m looking forward to the whole package? I love your photos, the creativity and uniqueness of your recipes, and, of course, your dialogue! Congratulations on the fruition of your cookbook and your dreams! I’m most excited about trying all the new recipes-I’ve cooked a ton from your blog and there has never ever been a dud. And your photographs because I read cook books like any other books! I’m really excited to see all the delicious recipes you’ve come up with and of course, the pictures! Congratulations, Tieghan! This is such a huge accomplishment, and I know you’ve worked so hard to make it happen! I can’t wait for all the desserts in the HBH cookbook! As a long time reader, I’m so excited to see how you’ve grown and evolved! I’m really interested to see how your love of fun and family translates into the book because your stories and kind words are always just as great as the recipes themselves. Congrats!! I’m most excited for the dessert recipes! I entered on Instagram and am excited for new recipes and the beautiful photographs. I’m so excited for this book! Congratulations on the completion of your cookbook. Creating through cooking is a most satisfying endeavor for me. Your recipes and pictures of all the different types of foods are the things I look forward to seeing. Thanks. I am super excited to see new recipes (and pictures!!) of new bowl ideas! You always have great ideas on those as well as new vegetarian options! Congrats on the big day!!! That’s a great achievement to have accomplished!! I absolutely love your pictures! They make me want to pick up the ingredients on the way home from work and cook that night. My cookbook is arriving today and I cannot wait to plan my weekend cooking:)! I am excited for all the recipes, everything I have made from your site is amazing! While clearly I’m looking forward to the recipes- I’m actually really stoked for the pictures! Beautiful photography! Congratulations! I’m excited for more seasonal recipes (which you absolutely excel at) as well as the simpler recipes I can occasionally include in my meal preps. The Salted Brioche Cinnamon Rolls. They sound & look amazing. I’m also looking forward to having a collection of your recipes offline, due to the incredibly spotty internet connection. I can’t wait for all those secret/fun ingredients you use in a lot of your recipes. There always seems to be an addition to your recipes that give it a little special something! The photos. I love cookbooks with photos and your photos are gorgeous! I’m looking forward to your seeing your brilliant photography and finding new delicious meals for my family! I’ve been a follower of you for what seems like years….I’m so proud to see you have a beautiful book. Your creativity is inspirational, your photos are beautiful and your food is amazing. Can’t wait to put the kids to bed and cozy up with a blanket and your book. Most excited for your stories and drooling over all the great pics. Looking forward to amazing recipes for Fall/Winter dishes and the lovely photos. I’m most excited to read the inspiration behind each recipe! You are so thoughtful in how you craft each dish and I love to hear about the creative storm happening in your kitchen. Not only am I excited for the delicious food that’s going to come out of this cookbook but I can’t wait to see the gorgeous pictures that go along with it. Your pictures and writing are what initially drew me into your blog. I think I might be most excited about those cinnamon rolls….yum. I’m excited to see your new and innovative recipes. I have made made many of them and they are all winners!! I’m most excited to see your beautiful photography published in a book!! So excited about all the gorgeous pictures!! I’m so excited for all the gorgeous photos! And of course to try some new recipes! I’m just over the moon that this cookbook has come to bookstores and soon my door (since I pre-ordered it, it’s coming today!). I am most excited to see the beautiful pictures, and of corse the breakfast recipes because I am always looking for more ideas in the morning. And finally, after following your blog and cooking so many of your amazing food creations, I’m excited to have a real hand held version to find even more favorites!!! Exciting new recipes for the coming season! As of today, I’m most excited to see the Salted Brioche Cinnamon Rolls recipe in your book! I am so excited to see your beautiful food photography! I love the pictures on your blog and am SO EXCITED to have a whole book of them!! I work at Barnes and Noble and I saw some copies of your book in the back room yesterday before it have “officially” come out!! I was disappointed that my manager didn’t let me buy it early :). I can’t wait to see your dinner recipes! I love love love your desserts too, but the dinners are always easy to prepare and exciting. The beautiful pictures, of course. Also excited to see if you have any new cheeseboards or other fun presentation ideas! What I will love the most is your recipes all together in a book!!!…. instead of my very unorganized filing system!!! I have followed you for a while, LOVE your recipes and am excited to receive in the mail my ordered book! Congratulations on the launch of your cookbook! I’m most excited for the gorgeous design of your food and your photography. I am SO excited to try those Salted Brioch Cunnamon Rolls, + any over the top chocolate-y/peanut buttery recipes you may have! I have been impatiently waiting for today to come ever since you announced your book, and I can’t believe that it is finally here either! Before I became a “more serious” cookbook collector, I always picked a cookbook for its pictures. 🙂 Fast forward 20 years, and I know FOR A FACT that your cookbook will be the most beautiful cookbook in my entire collection! Can’t wait to see all the gorgeous photos and drool over the amazing recipes that cover the pages! My hubby has already been warned that this weekend will be HBH cooking themed! Come ON Amazon!! I am excited to see the desserts you created. They are always so beautiful! Congratulations on the book. My friend and I take it in turns to cook a three course meal for each other and our other halves. She turns out the most wonderful creations and I always worried about my efforts. That was until you came along. Since then I’ve cooked up a host of lovlies and held my head high dishing up varied and beautiful creations. So I’m looking forward to a whole host if goodies to share with good friends, great conversation and a bottle of red. That’s what food is about for me. I am so excited to see your BEAUTIFUL pictures and try some new flavor combinations! Everything I’ve ever made of yours is always mouthwatering and provides me with new and interesting flavor pairings that I never would have thought to put together myself! I’m most excited for the dessert recipes! Especially the cinnamon rolls…good God! Amazon says my book is out for delivery so I will have it tonight when I get home ! I can’t wait to see the photos !! I followed and tagged on Instagram. Ps I shared over on IG! Yay, can’t wait to buy your book, Congratulations 🎈🎊🍾! Friends tagged on Instagram and cookboook purchased!! I make at least one of your recipes per week if not 2-3, sometimes your insta is my menu planner! Love HBH! have been following your instagram for long time now. Tagged friends! I’m excited to see the photos and get dinner inspiration. I want to say I am most excited to start making all your delicious recipes, but the reality is, I buy cookbooks for the photos, and your photos are always AMAZING! I can’t wait to buy this (or hopefully WIN it lol) Thanks for all your hard work. Cheers! I love food photography so I’m really excited for the pictures in the book to get me excited to try the recipes! I’m most excited for comfort foods and the desserts. I’m excited about learning all kinds of new recipes especially baking! I feel like I can’t go wrong if I pick one of your recipes for a special occasion or just because I want something new. Its always so easy to follow with tons of flavor… I always look like a rockstar in the kitchen!! Congrats!! I can’t wait to get my cookbook and see your beautiful food photos. I want to try everything. You are so creative and I hope you write about your life in Colorado. Congratulations on the book release, Tieghan! Just the cover is enough to make me drool! I can’t wait to see the PHOTOS in this cookbook. Your recipe presentation is so LUSH! Of course, I’m also excited to see what recipes you’ll dazzle us with. My particular interest of the moment is hearty salads and supper bowls. I KNOW this is going to be GOOD!! Is it okay if the thing I’m most looking forward to is the photography? Your photos and the way you style things are absolutely SWOONWORTHY. But also you cook with ingredients that are easy to find in my small town grocery store and that’s a very helpful bonus. ummm….those cinnamon rolls look delicious! i need to get my hands on that recipe. Can’t wait for some fresh vegetarian inspiration! I’m looking forward to seeing your brilliant photography and finding new delicious meals for my family! The pictures!! Cannot wait…mine is on the way, eagerly awaiting the Amazon box today!!!! Im excited for EVERYTHING! I’ve been following a pretty strict Paleo diet for a while now but I’ve already decided that whenever I get my hands on your book everything is fair game!! I am most excited to see the quick and simple dinner recipes that are easily modified for vegetarians! Especially the ones with an Asian bent! I’m always so impressed with the lovely photography, so really looking forward to seeing it in printed form! I’m excited for the photos and having your delicious recipes handy! This is one of my most favorite food blogs and I can’t wait to see the book! I have followed you on FB for long time. Your pictures are always so mouthwatering! But it’s the flavor combos in your recipes that I admire and can’t wait to see your in cookbook. I am looking forward to seeing your bowl meals and your gorgeous photos. I am most excited to find new recipes that appease the fussy appetite of my husband. So far the blog has been an immense treasure trove and I your new cookbook is on my Christmas wishlist! Congratulations on this huge milestone!! All of the gorgeous photography, of course!!! Congrats! Congratulations on your book release! So excited for you! I am excited for the cinnamon roll recipe. That picture above looks DELISH! Bonus!! Tagged a friend on Insta! I’ve already made about 50 of your recipes (maybe more) and never been let down by one of them. You inspired me to do a blog myself (just for fun). So I’m most excited to just see what new recipes you’ve created and shared in the book! Just got an email saying your book is on its way!! I can’t wait for more unique multiculti recipes. The asian/mexican chicken taco recipe is the go to recipe for friends and family for me. I can’t wait for more tasty & unique combinations. My friends and family thank you in advance! Oh man, I love trying new things, so I think I’m most excited to try out all the new recipes I’ve never attempted before ! I am most excited to read and look at your beautiful photos of dessert and baked goods! Every time you post a cookie, or cupcake, or any kind of baked good it makes me want to RUN to my kitchen and fire up the oven. Then I will make one of your yummy salads to make up for my excess of sweetness! I can’t wait! Congratulations, what an amazing accomplishment!! I am most excited to see the lovely photos that accompany your recipes. You have the most gorgeous food photos! I am most excited to see the pastries and the drinks. It has been so inspiring to watch this whole thing unravel and evolve. I also am excited to see how I can make some of the main course meat dishes into vegan/vegetarian versions. I absolutely love the flavors your put together for marinades and such but my roommates and I don’t eat meat and or barley eat meat so we are always taking any dish with meat and finding a way to make it with vegetables or mushrooms etc. A lot of people are saying photos, which I totally agree with! But, I’m really looking forward to trying out your desserts! I am most excited about the desserts… I know basic but I have a sweet tooth :D! Congrats on your cookbook! I’m excited to see new and tantalizing brunch recipes! I am most excited to see all of the recipes and TRY all of the recipes but I have to say as a designer I am SUPER excited to see all of the photography. It is so rustic and simple but oh so beautiful! I need a mixer desperately by the way : ) Congratulations to you! Congrats on your cookbook coming out! I’m excited to see new and tantalizing brunch recipes! Congrats on your new book!! I would have to say I’m excited about EVERYTHING :0). Your pictures are so beautiful and the recipes always look delicious. I love desserts, so I’d probably start there. Thanks for the chance to win. Congratulations!!! I am a baker & my husband is a chef, we joke that I am sweet & he is savory. Thus I can’t wait to see the desserts while he will be looking forward to the spicy & savory. Excited for new sandwich creations! CONGRATS!! The book looks beautiful, I can’t wait to see all the gorgeous photos and incredible recipes. I’m also hoping for more family stories…I love hearing about your sweet family! I cant wait to cook for my adult children from your book, One is a carnivore the other is a vegetarian I am looking forward to the best of both worlds in your cookbook! (my copy of your book is out for delivery as I type this!) And your photos are always amazing! Best of luck! I am so excited for anything with CHEESE! I’m excited to see the photos, and learn some new vegetarian recipes. Thanks for the chance to win your cookbook. Everything! Love your recipes and pictures! I’m so excited for more healthy…ish recipes, congratulations on your first book! Like everyone else, I am looking forward to the beautiful pictures. But mostly the Bowl recipes. Those are my go to, mid-week favorite recipes. I have always admired and been inspired about the photography. Then when I’ve made the recipes – they are so good. I’ve also tagged a bunch of folks on the Instagram post! After watching your instagram story, I’m really excited for your meatball recipe. They are one of my favorite things to make, and I can’t wait to see your take on it. Also your pictures are always gorgeous! I am so excited for you, Congratulations! I cannot wait to see my copy awaiting me on my door step today. I can’t wait to see the pictures….but even more so I can’t wait to try out the recipes!! I love your recipes and your pictures! I’m more excited for more dinner recipes to enjoy with my family! Thank you for this giveaway. I am super excited to have all your amazing recipes on my counter and at my finger tips so I can browse through, mark my faves and fill my kitchen with smells of deliciousness! All the pictures! Your pictures always make the dishes look so delicious! I am excited for you nice pictures and recipes in one pile. Wow. Congratulations. You have a way of making food look delicious, even if it’s not something I would usually prefer. So, I am excited to see your photographs, but also your over-the-top desserts. I’m so proud of you and so happy for you that’s how I feel! I remember the day my Chef instructor from culinary school mentioned you during Class ” Half Baked Harvest is to die for its drool worthy ” Immediately looked it up and was Awe struck by the photography I’m thinking to myself oh my goodness here’s my spirit animal lol a woman that loves photography AND food. This was almost three years ago . From the bottom of my heart it has been such an honor to watch this blog grow and prosper as you are such an inspiration to me Than you Tieghan for putting your heart and soul into this blog and now this beautiful book. Congrats on the new cookbook! I’ve been following your blog for years, and I am most excited for even more no-fail recipes to put in my regular cooking rotation! The pictures that go with these fabulous recipes! I am so excited to see how much you have grown, and your recipes are simply delicious. Everything I have made from you, has turned out phenomenal. It has been awesome to watch your growth. Keep it up girl! First off congratulations! You are one of my favorite favorite food bloggers! I’m most excited about having your recipes in my kitchen all the time in print form! I’m such a tactile, visual person, so this brings everything together. I love all of your photography and I know that your recipes never ever disappoint and have become some of my go-tos. Hi Tieghan! I cannot wait to drool over all of your photography. Your work is a huge inspiration to me, and I’m always inspired! Most excited to see the entrées (and of course, desserts), it never fails to amaze me how beautifully you are able to make your food! I’ve followed you and tagged a few friends in your last post! Well tested recipes, amazing photos, and having a copy to put on my desk to share with my clients to get them re-interested in cooking great food! I’m most excited to see all of the comfort food. I’m to ready for the fall and this is a perfect way to enjoy it ! I’m excited to see the beautiful photography and learn some new recipes! The vegetables! I can’t wait to see all your recipes that transform them into the most gorgeous, luscious, glorious meals, as you always seem to do. Every recipe is beyond inspiring. I can’t wait to receive my copy of your cookbook in the mail! I’m excited about all of it! I love the photography on your blog and the peaks inside the barn. So I am excited to see the photos and the creative recipes! I’ve always thought myself to be a creative cook, but you take it to a new level and inspire me! I am low key just obsessed with your blog. I’ve moved to the UK and everyone I cook for here is super impressed with your recipes. I’ve got quite a reputation as a good cook so feel I should pass the praise on to you! My husband even has ordered me your book as a surprise! I am super excited about your pasta recipes, desserts, and the photos. I can happily sit drooling over your lovely photos all day. Can’t wait to make some things when it arrives! Congratulations! 🙂 Super excited to get my book. Really looking forward to those cinnamon rolls seen in the photo posted above. oh-em-gee! Definitely want to make those for the holidays. Congratulations-you must be so pleased to have this beautifully looking cookbook out amongst us! My husband will flip for the cinnamon rolls and I’m especially looking forward for I see your gorgeous photos. I’m looking to pasta recipes and desserts to serve at Sunday afternoon gatherings. I am most excited for all the fall inspired dishes and the lovely photographs. As someone who has used several of your recipes, I’m excited to have a cookbook that I can hold in my hands when searching for new recipes that I can wow my friends and family with. Also all of the gorgeous food pictures. The pictures, and yummy recipes! Congratulations, Tieghan! It is truly incredible to see your outstanding creations come to home in your cookbook. The cover and layout looks gorgeous! What I am especially excited about from the #halfbakedharvestcookbook is to see your recipes truly come to life in this professional milestone. From imagery to structuring and pliable recipes that fit everybody; you make the art of food utterly beautiful while being an insightful teacher for all. Thank you for all you do! I follow on instagram and tagged some people. The cinnamon rolls look like they have my name on them. Most excited for your cookbook to arrive in my hot little hands and to go through it from front cover to back! Congratulations! I’m the most excited to see breakfast foods and appetizers! Your recipes are always great for entertaining! I am most excited for a physical copy of the book to hold. I love actual books, holding a book and the smell of a fresh book! E-reading is convenient but nothing beats a physical copy to touch and see. Congrats! I’m most excited about everything, but right now I’m really feeling the desserts after that brioche cinnamon roll picture in this blog. Yum! I am most excited about new ideas for what to do with my vegetable garden harvest and more one pot meals. Have loved everything I have tried so far! Congratulations!! When I got my Amazon notification today that my order would be arriving today, I was SO excited!!!!! I’m most excited to see all of the new, creative flavor combinations you have come up with for this cookbook. Your recipes are constantly inspiring me to be braver and bolder in the kitchen and I can’t wait to see what you’ve created for this book! I am most excited to see…….wait for it…..EVERYTHING. I have followed your blog for a few years now and am always excited to see your creations and your amazing photography. As well as The Barn sessions. Congrats Tieghan on the release of your first (of many I am sure) cookbook! Most excited for your recipes using seasonal ingredients! This is so exciting!!!! I love your recipes and your photography, so I’m most excited about those things! I love your blog and recipes, they are always so comforting, full of colors, and inspiring! Food should always be beautiful and deliciously made, and with love – just how you do it! Congratulations! I hope to find my copy on my doorstep today! I’m looking forward to every page, but I am especially looking forward to new breakfast ideas. Excited to see your gorgeous photos and pastas!! I’m excited for anything good for fall – squash, apples, pumpkin! So good! I can’t pick! Every section looks INCREDIBLE! commented on your instagram post! I’ve printed more Half Baked Harvest recipes to try than any other. Can’t wait to have a whole book! I am looking forward to the beautiful pictures. That is what makes me really want to try the recipes. I am excited for EVERYTHING! But mostly the comfort food 🙂 Meats, cheese, & pastas!!!!! I enjoy your bowl recipes because they have so much flavor and healthy ingredients. And your photography is quite stunning. I can’t wait to see all the cheeseboards and beautiful photos! I can’t wait to see all the gorgeous photos in your new cookbook. Every one will be suitable for framing for the kitchen, I’m sure! Just finished watching the Butter Chicken video and I’m so hungry for all the new recipes. So exciting that the book has made it finally! I’m excited to see all the seasonal recipes, and to eat a lot of delicious food. I found your blog a few years ago and have been following along with you ever since. I am most excited to plan a meal from start to finish using the new and loved recipes in your book. I can’t wait to add it to my collection and my families come the holiday season. What I’m most excited to see in your new cookbook are the amazing photos that go along with the recipes. The pictures you take of the food are truly amazing and are so artistic. I’m super excited for fall!! I’m sure you’ll have many things ” fall” in this!! Lots of apple recipes, pumpkin recipes… My family is on a healthy eating mission!! And this cookbook will definitely help us compete our mission! I’m excited for all the recipes! It’s hard to narrow it down. Everything you cook always looks so amazing, I can’t wait to go through it! I am most excited about seeing recipes that are super crazy and delicious but also healthy! You do that very well 🙂 Congrats on making it to this day!! Congratulations Tieghan!!! I can’t wait to look at all of your gorgeous photos from the first page to the last. Hopefully this is just the beginning of many more delicious books to come. I am most excited to see all of the thoughtfully crafted recipes that you are inspired to create. I found your website and blog one day and I haven’t stopped looking at it since. I love that you give me the inspiration to cook incredible meals that I would never have thought of on my own. I’m soooo looking forward to the beautiful and amazing pictures of your food! I know the recipes are great but the pictures make it so much more inspiring! Congratulations! You must feel so very proud. I am looking forward reading every recipe…especially the desserts.Oh, and your gorgeous photos as well. Fresh meals and great photos! Congratulations! How you used vegetables in your meals. I would love just to look at your pictures. They are such eye candy! I am looking forward to getting my hands on my very first Colorado cookbook, from a local baker and chef! We love all the local farms and great venues. We are new here and in our 60’s…but we all cook and bake and with 5 grown kids and 8 grandkids, theres a lot of yummy tummies to fill. Congrats to you! I’m most excited for pasta recipes!! I love the meal combinations you come up with. This is such a wonderful way to celebrate!!! I am so excited to see all of the beautiful pictures that accompany your recipes! I am also very excited for the dessert section, who doesn’t love a delicious treat! I’m excited to see your beautiful photography! I can always tell while scrolling through pinterest which recipes are yours 🙂 I love easy dinner meals and hearty salads. Your recipes are my go-to if I can because I’ve never been disappointed by your flavor combinations and your creativity is off the map! I got a confirmation email last night from amazon that your book had been sent. I started jumping for joy! I absolutely love your daily emails. I look forward to them everyday. I’m so excited just to have all your fabulous recipes in one place (well besides all of my pinterest boards!) Congratulations!!!! I can’t wait to see it in person! I just tagged my whole family on instagram so they know where most all of the food I make them comes from!!! I am excited to see it all!! I am so excited for you. I love your pics and looking forward to your different food bowls, you always do a wide variety. Looking forward to the cookbook for everything that you worked so hard on. Lovin all those recipes. Anything to do with fall! My favorite season and I’m a comfort food junkie. Cannot wait to get my cookbook from Amazon soon. Most excited for the savory and crockpot recipes! I am most excited for the dinner recipes. I love how inventive as well as beautiful your recipes are. I am most looking forward to just sitting with the book and reading it. Who reads cookbooks, right? I just got it and I can’t wait!!!! Your website is so attractive and the cookbook cover makes any cook want to dive in to its pages. Great job. Congrats. Congratulations on the release of your cookbook! I have been so excited to get mine! The recipe I am most looking forward to making is the Apple Ricotta Pancakes with Bacon Butter as well as seeing all of your beautiful photos. I moved to Massachusetts last year from Wyoming so reading your blog and seeing your pics remind me of home which makes cooking and baking your recipes that much more special. Also, loving the bonus packet! Thank you and enjoy every part of the release!! I’m excited for all the unique vegetable recipes in your cookbook! Congratulations!!! Can’t wait , hurricane Irma is delaying my pre-order book so want to start cooking from it and admire all the gorgeous pictures!! All recipes look devine, think I’ll start from the top with the apple ricotta pancakes why? Hello bacon butter !!! Genius! I am so excited to have a physical copy of your recipes to be able to have out on the kitchen counter while I cook, then I can admire all of your beautiful photography! I am also really excited for seasonal recipes because I love enjoying the different ingredients of each season! Love your fresh new ideas! Can’t wait to see what’s in your book – and – chocolate! Photos and savory dishes! It’s nice to hold a book in your hands. Congratulations, I can’t believe the day is finally here either. I am a paradox because I can’t wait to read all the grain recipes and desserts. I love healthy food and chocolate. Your pictures are amazing and encourage me to try things I may not otherwise. I did tag on Instagram. So proud of you Teighan! Congratulations on the much awaited cookbook! I’m most excited to hopefully see you cooking in your gorgeous farm house kitchen, and all of your unique plates, cups and eating utensils. Those spoons with the little branches on the end were everything! Congratulations!! I read this like a good novel. Most excited for the DESSERT section!!! + I follow @halfbakedharvest and tag my family/friends in your posts all the time! I am most excited about all the new pasta recipes and the amazing things you think of doing with veggies. Yum!!! Congrats on the cookbook book. I cannot wait to dive in! I also tagged some friends on instagram to spread the word! I am most excited to see your vegetarian based recipes (being vegetarian)… as I am always looking for something new to try…plus, I follow you on Instagram as well :)! I love the recipes I have tried from your blog too! I am looking for inspiration and baking that will work at altitude! the photography, layouts and barn photos! I am most excited about trying the recipes!!.. looks delicious!!! I’m excited to see just simple, healthy recipes. They’re enticing! Congratulations! I’m excited to see at the beautiful photos and always love appetizers the most! I just tagged my daughter! @nvizdos on Instagram. Congratulations! Can’t wait to see the book, all your posts are so inspiring but appetizers and snacks have a special place in my heart! Yummy quick dinners for busy weeknights! And desserts…always desserts! I am most excited for new dinner recipes! I also can’t wait to see the photography – that is one thing that always draws me to your blog! I’m most excited for more bowl food, because you have KILLER bowls and hearty salads. But, I’m also excited that this came out on my sister’s birthday, so that’s what she’s getting in the mail. And my mom’s getting one for Christmas, because I’m so psyched to share my favorite food blogger with everyone. I am most excited for the soup recipes and the photography!! OMG it just came in the mail! It feels like Christmas morning! I am most excited for the unique combinations of food I would never have thought of, especially the pizza and BOWLS of food! About to dig into it now! Holy wow. There are a crazy amount of AMAZING-looking recipes in this cookbook. I am blown away by your creativity. You just have so many unique ideas for food combinations, and different ways of doing things. SO EXCITED TO GET COOKIN’! I’m most excited for the desserts – the creative dinners are a hit in my house but there’s nothing like a great dessert to finish the meal! I’m excited for any good vegetarian recipes like your cauliflower al pastor tacos – those are a big hit in our house! Well first congratulations on the book!!! I am honestly just looking forward to all the recipes the book has to offer. Honestly excited about the whole book! I’m going to have to pace myself and not try making everything at once! I’m excited to see your beautiful photography! Your sneak peeks have me so excited to order. I’m so excited that the book is finally available! I can’t wait to see all your gorgeous photos! I’d buy a calendar if you ever do one! My copy of your cookbook arrived in the mail today and as I am paging through it right now I am most excited about all the beautiful photos and all the amazing flavor combinations! Most interested in the (Mostly) Meatless Meals. Congrats on the book!!! I can definitely tell you poured your heart and soul into it. I’m so excited to see all the interesting flavour combinations that you put together and all your baked goods because I have the world’s biggest sweet tooth! 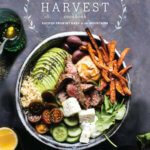 I just got home from work opened my box from Amazon and I got my Half Baked Harvest cookbook…I can’t wait to read through it….Congratulations. I am excited for Salted Brioche Cinnamon Rolls recipe!!!!!! YUMMY! I am definitely most excited to see an elaborate and ridiculous cake! I’m most excited to see the variety of recipes in the book! It’s much longer than I expected and looks like it has amazing dessert and seafood recipes too. I can’t wait to start cooking some of these! Congratulations! So excited for more delicious quick dinners, slow dinners, desserts, and everything between! Can’t wait to see the photos too! Congrats to you! Most excited for? Appies… that I will then turn in to a full meal. So excited this is here!!! Congrats!! And I already follow on IG and am about to head over there and tag all my girlfriends now!! I’m most excited to get inspiration from the gorgeous photography and then try out each recipe! I’m excited about all the recipes just can’t pin point it to one only. Your recipes are so mouth watering and the pics are wonderful. Very excited about the book. I am honestly most excited to see your pictures. You make the food look so beautiful! I’m excited to see all your recipes in one, easily accessible book! And of course all the pictures :)! The photos! I love cookbooks in general, but cookbooks with gorgeous food photography are even better. Your healthier desserts (which never taste “healthy”) and avocado recipes now that the price at whole foods has dropped! To see your tempting pictures! I am so excited for the new pictures and the new recipes. Just in time for fall and the holidays! My favorite time of the year! I tagged my other friends on imstagram that also love your blog! Happy Cookbook Launch Day! I can’t wait to give this book to everyone getting married for the next decade at least!! I am excited to try recipes involving dill, chocolate, chickpeas, and Asian-inspired flavors…and of course for your artful photos. Congrats again Tieghan!!! The pictures are so tantalizing….recipes look delicious! How can they not be amazing! Since I am a high school senior, and captain of the volleyball team, I hope to see many quick (and healthy) that will keep my brain and body fueled!!! I am already impressed by your posts, photographs, and recipes. What I am excited about is the fact that at your age you are pursuing your dream, and you didn’t let yourself be discounted because of your age. So I am proud that you burst the millennial bubble and stereotypes. It is inspiring to both young and old. Congratulations in all you do. Looking forward to my new cookbook! Blessings. So excited to see your easy and healthy dinners and not to mention your decadent desserts! I’m super excited about new, delicious dinners and things I can take for lunches. Your recipes are some of my all time favorites! Follow you on insta and tagged some friends! I have a ton of cook books. I’m a food network mag monthly. I always say best cookbook, because the best cookbook I’ve ever bought was Naomi Judd’s, I ordered it off of of QVC years ago. That is until I accidentally found your blog and then got my hands on yours. I’ve made so many of your recipes already, they are amazing! Between the receipes, pics and stories …to pic a fav..as my Queen, Stevie Nicks, was asked to pic a fav song she said, .”to pick a favorite of my songs would be like a mother picking a favorite child” Your book is amazing! I never buy cookbooks and I’m getting this one! Congratulations! I’m looking forward to the vegetarian recipes. Everything I make from HBH is a winner with my littles – 8, 6, 3. I’m also excited about the brioche cinnamon rolls. The brioche pull apart cinnamon bread is already a go to for us. I am excited for every page in this book! Love your recipes! Congratulations on the release of the cookbook! I love your blog and am most excited to see all the decadent and unique desserts with incredible pictures! I’m looking forward to your always lovely photography and delicious desserts! I’m looking forward to the quick-ish dinner recipes, since I’m a student and this makes it so I can eat affordably and without having to spend money on the painfully bad dining hall food at my college. So I’m also really looking forward to the extra recipe packet, too. And oh my gosh that stand mixer would change my life. Well done, you! Congratulations on the new cookbook! The combination of photography and personality in each of your recipes is especially appealing to me. I’ve printed your emailed recipes DOZENS of times! Old school I know, but some people have junk drawers – I’ve got a recipe drawer! I’m ordering two of the cookbooks – one for me, and another for my daughter, and looking forward to the bonus recipes as well. I’m most excited for your amazing desserts!! I’m so excited for every single recipe! The goal is to make at least one every day for me!!! (But I have a major sweet tooth). And I’m a follower on insta and liked both videos so far! I’m excited for it all, but particularly the interesting flavor combinations and beautiful photography!! Followed on Instagram!! It came! It’s so beautiful! I’m resisting the urge to devour it because I don’t want it to be over too soon. I love the brioche cinnamon buns. The apple pancakes too! I have only gotten through breakfast so far. Excellent job! I am most excited to get this book and a weeks worth of vacation and just make everything!!! I’m so in love with all of the recipes that you come up with and can’t wait to have them in my kitchen! I have been following your posts for quite awhile. They are awesome. I am looking forward to seeing how your cookbook is laid out. I am sure the photography will be amazing and I am eager to try some of your more healthy recipes.
. I am following your post now for the last 5 months. What draw me was the way you present the meals. Simple ingredients dress up into a meal fit for a King. The photography is beyond words can tell. Would love to win this prize. I can’t wait to see every single part of your cookbook! Yay!!! I guess I’m not the only one who loves your pictures!!! I am amazed by your innovative recipes, food styling and photography and hope to get a lot of inspiration by flipping thru the book, which luckily is available in Germany as well. I am a follower on FB and Insta…and my foodie friends will get a wonderful Christmas present from me this year!! Congratulations on your book!! I’m looking forward to the delicious recipes and beautiful pictures. Thanks for the most amazing blog! I’m in need of quick delicious vegetarian dinner recipes and all the ones I’ve tried of your so far are amazing. Excited to see new ones in the cookbook. I am most excited about your desserts! My favorite moments are also when people take a bite and say “oh my gosh, this is amazing”. I love spreading joy through food (non better than desserts! ), and your recipes are ALWAYS a hit! You are extremely talented and I pray nothing but the best for you! Because I live in Perth, Western Australia I find your recipes arrive just when I am trying ing to work out what to have for dinner. So inspiring. BTW, how did you know dal was my favourite food? This is what I will be having tonight. Thank you for always being so honest and not so perfect. I eagerly await the incredible recipes as always; the spectacular photography that I’ve grown accustomed to, the astounding attention to detail that you incorporate into every part of your daily posts…you have put together an astounding daily blog which I’m sure you’ve incorporated in to your cookbook as well. Kudos & congratulations on the launch of your new cookbook & I look forward to many more delectable recipes in the future…BRAVO!!! I’ve been following your blog for 4 years now, and what I am most excited is to have all my favorite recipes in hard-copy so I don’t need to rush to the website every time I cook. Anything healthy, colorful and grain-free will do! Your recipes are a piece of art, so I can’t wait to have a hard copy!! Congratulations on your wonderful new cookbook! It looks amazing and I can’t wait to order it! I am truly a New York bagel girl and your recipe for Sesame Bagels with Avocado, Burrata and raspberries looks delicious!! Your recipes are always inspiring and super creative! I especially look forward to your new breakfast/brunch recipes and the ones that include chocolate, all the better! 🙂 Hihi! I received my two copies of your cookbook yesterday! Yes….two! I purchased one for my daughter as well….am enjoying it while I drink my coffee this morning….I can’t wait to start making these beautiful recipes! What a lovely book! Congratulations! Looking forward to your gorgeous pictures and the desserts!! This is so awesome and I am looking forward to making all of the recipes. I received your book yesterday, early in the morning. I spent most of the day reading through the recipes/stories. Amazing job well done! The pictures are beautiful and the food looks amazing. Cannot wait to start trying these recipes! Congratulations Tieghan! I always look forward to seeing your mouth-watering photos (there are times I literally think I can smell and taste what is on the page)! I know you put your heart and soul into this cookbook and I’m most excited to see your personality shine through from cover to cover. That is why, of course, I have been a follower for all these years! Congrats! Your creative and unique twists on old favorites and your use of unexpected ingredients. Congratulations on the book! Desserts and more of your beautiful photography! I am excited for your bowl recipes! I love throwing everything in a bowl and gobbling it up! Our power was out yesterday so I didn’t see this. My favorite recipes would be desserts. Those cinnamon rolls looked great! CONGRATULATIONS on this accomplishment. You work so far on this blog and you deserve this. Oops!! You work so HARD. I tagged 2 friends on 2 of your instagram posts. Got my cookbook yesterday and it is amazing!! Congratulations on your book! I am most excited about the drinks and desserts! I’m most excited for the soup and salad recipes! And I always make your deserts for family gatherings and they are always the first to be finished off so I can’t wait for those either! Your desserts are always amazing, but I’m really excited to see some new ideas for simple- one dish suppers!! Congrats- it has been so fun watching you grow for the last few years I’ve been following along. I am most excited for the beautiful photography and creative dishes! So excited for cozy fall and winter recipes. You’re great at creating pure comfort food for every season, but your fall and winter recipes are my favorites. I make the crockpot honey-harissa chicken and pork ramen a few times a season and they’re so delicious. I love reading cookbooks as much as making the food. I pre-ordered right as soon as I could. I would give my old mixer to a friend studying culinary arts. She has a large family so it would come in handy. Fingers & toes crossed. Thanks for sharing your talent!!!!!!! I am really looking forward to more delicious recipes from you- that’s an obvious! I am also really excited to see the photography. It’s always so beautiful on your blog! Wow, congratulations! I am definitely most excited to see what new chocolate and peanut butter recipes you have in the book… the very first thing I ever made from HBH were the 5-ingredient Triple Decker Chocolate Peanut Butter bars- and after that I was so hooked on your blog! I’m most excited to work my way through this cookbook and open my friends/family’s eyes to some of the most delicious and unique recipes! ALSO I’m excited that since you live in CO too, all the baking recipes won’t need to be altered for high altitude like they normally do! I am excited for new recipes – especially pasta recipes! Many congratulation. I am most excited to see which quick, easy and delicious dinners I can find in the cookbook. Definitely can’t wait for those autumn recipes! Your seasonal dishes actually make me look forward to the upcoming cold Colorado winter! I can’t wait for all the amazing pictures and creative recipes for comfort food! I also steal many of your food presentation ideas. Congrats on the new cookbook! I’m most excited to see your fall/comfort food recipes and all the gorgeous pictures!! I’m excited for quick dinner recipes! Super excited for all the dinner recipes, always looking for variety! I stumbled on your website when you were just beginning, how far you’ve taken it, simply Amazing! I’m most excited for everything! Can’t wait to see what amazing recipes you have created! I just found your website and heard about your cookbook, so I’m excited for everything! HEALTHY recipes with REAL ingredients…yum! I’m most excited about the photos… they inspire me to actually make the food. They are simple, delightful, and absolutely yummolicious!!!! I have been following your blog for years. I have tried many of your recipes and not one of them disappointed me in the least! I always try to make my recipes look like your photographs :)! Can’t wait to see what you have created for your cookbook! Thank you! I am most excited to see all the new recipes! I am a baker and cant wait! I am most excited to learn more about you! And how your family has influenced many of your recipes in the cookbook. Hi!! Congrats on your cookbook launching!! I can’t imagine how great you feel!! I’d definitely say I’m super excited for the breakfast recipes, I’m a HUGE breakfast fan and can’t wait to see what you thought up for the book ( as well as those gorgeous photos)!!! Congrats again and thanks for all your hard work! Im most excited about all the secrets and techniques you will share on this new cookbook !!! Your beautiful pictures will for sure inspire me to cook for my friends and family! I fully trust every recipe you create and Im sure that my family will also do it!!! I cant wait to scan over and over again each page of the book and chose my favorite recipes to try !!! congratulations for the masterpiece!! I’m looking forward to the creative spin you put on so many of your recipes! I admire the way you approach Mexican cuisine, I’m looking forward to all of those in your cookbook! The amazing combo’s you’d never think of (like that PB&J grilled cheese!) Can’t wait to try it! And just tagged a few friends on Instagram! Woo! I’m excited about all the beautiful pictures that just make your mouth water instantaneously. I also tagged some friends on Instagram (andicandy77). Just got your cookbook yesterday and am SO EXCITED!! It went on my wishlist as soon as you announced! I’m most looking forward to impressing my house guests with your ah-mazing cheese board. I’m also excited to make some of your family favorites (your mom’s potato chip chicken, your dad’s pasta!). Follow you instagram and tagged a friend in a post or two. I’m obsessssed with your videos! Just received mine today in the mail and haven’t gone through it yet but most excited about all your DESSERTS!! Congrats on the new cookbook! I’m most excited too see the breakfast recipes. Also, I can’t wait to see the photos. Congratulations! I am most excited to see the beautiful photography and to read your stories. I am most excited to see what new baked good recipes you’ve developed! I’m most excited for the photography! It’s guaranteed to be beautiful and mouth-watering! I think those brioche cinnamon buns look pretty divine, so I”m pretty excited to make those for Thanksgiving weekend (in October, in Canada, so i don’t have to delay too long!). And I’m also always down for a bowl of almost-anything, so bring on some new ideas! Also, i’m a long-time insta follower, and friend-tagger. And I’m excited to feature your book next time I host cookbook club – oh, it’s going to be sooooo good! The pictures are just phenomenal. It’s perfection! I love how your recipes follow the seasons, making the most of what’s fresh at that moment. I’m most excited to follow along and bring new and deliciously fresh dishes to my family all year long. Besides the delicious recipes (duh) I’m pumped to see all the beautiful pictures. You’re honestly one of the most aesthetically pleasing blogs I’ve ever seen so I can only imagine how amazing the book will look. Hi! I’m most excited to see recipes with Apples – we’re into fall finally with the first rain in months and I love baking with apples to make for nice cozy smells in the kitchen. I am most excited for your delightful recipes! Everytime I make one from the blog, I not only think they are all amazing, but I love how so many of the ingredients are versatile. So if my grocery doesn’t have certain items or they are not on sales, its okay! I can easily substitute other fresh vegetables and the dish still turns out wonderful. So excited for your cookbook! Congratulations! Can’t decide if I’m more excited for the recipes or your amazing photography! Can’t wait to get my copy! I can’t believe that the cookbook is finally out and that you’ve accomplished this feat at such a young age! I’m most excited for the section of the book with meatless recipes because I’m a vegan and am always looking for new recipes to try out! I am excited about the whole book (plus the desserts and crockpot stuff). As a collector of cookbooks, new and old, your cookbook will be a welcome and beautiful addition to my collection. Congrats!! I am most excited to see all the beautiful photography and styling — you’re amazing! Plus, I can’t wait for all the comfort dinner, type recipes. Your Chicken Pozole is a staple in our house! I’m so excited for this book just so I can flip through all the photos!! But I have to say I am really looking forward to your soup recipes! Perfect for this time of year! I am most excited for the beautiful photos of food that looks as good as it tastes. I look forward to new dinner ideas- I’m making your latest tonight! Honestly, the creativity! Everything you make is so homely but is also unique and BEAUTIFUL. Cannot wait to see the new book! I’m super excited to see all of your gorgeous pictures and I am all about dessert so that section of the book will be my fave!!! 💜 Congratulations on your first book!!! I’m excited for healthy dinner recipes! And of course, dessert ones too! follow you on insta, tagged a friend!! Most definitely excited for pizza recipes. Pizza is my spirit animal. Congratulations! I’m so excited to finally have a part of half baked harvest on display in my own kitchen! I’m sure it’ll become one of my go-to cookbooks just like this blog. Yay, yay, yay! I have followed your blog for so long so I’m extremely proud of you and excited to see this cookbook! I know every recipe will be excellent but I’m most excited about your salads! 🙂 I also hope to see some photographs of your beautiful home and farm life! Lol how not to love this blog? Congrats for the book. Looking forward to it. I can’t wait to get my hands on this cookbook! I am interested to see what crockpot recipes you have in store! Oh! I forgot to say that I’m most interested to see any grilling recipes you have in store in the cookbook! That cover photo is magical ! I am most excited for fall type recipes since that is the weather we are approaching. I am going to get on amazon and order the book tomorrow so I can start exploring new recipes! What I’m most excited for, as far as the book goes, is having something of your essence actually physically tangible in the kitchen; it’ll be like we’re actually cooking with you. I’ve been following you almost religiously for about 4 years now. It’s crazy to me to think about how far you’ve come, and consequently how far I’ve come. I started with your recipes because I felt very stagnant with my food choices. I have been vegetarian for the whole time I’ve cooked your food, I just use different kinds of mushrooms or like tempeh or just loads of extra vegetables as opposed to meat. Your recipes are absolutely incredible. Finding your blog was like a breath of fresh air to me. I make one of your meals at least 4-5 days a week, if not more. I’ll be forever grateful for you and what you’ve done for me and my household, it’s hard to articulate. Thank you so much. I can’t tell you how many all-time favorite recipes of mine are from your blog so I know the cookbook will have some great ones, too! I want to dive into the baked goods but I’m also excited to try everything else in the cookbook! Congrats on the cookbook release! The date really snuck up on me so I didn’t end up pre-ordering like I intended. I definitely want your cookbook though so it would mean the world to me to win this! I want to dive into the baking section! I came here from your Instagram! Thank you for the chance to win your cookbook masterpiece. I would like to see what creative meals you have for dinner. Especially meatless options! I love the simplicity of the ingredients used, showing once more that it doesn’t need much to make something utterly delicious! Thanks so much for your inspiration and for sharing your love for food and cooking! I can’t wait getting lost somewhere in between grilled marshmallows, crispy meals, healthy snack and not so healthy greasy cakes! I’m excited for your new, delicious takes on healthy meals. Your recipes are always a hit here- congrats on the book! Opening my mailbox on Tuesday morning and seeing the box there that I knew had your cookbook was all very exciting! Almost since you began, I have been an avid follower of your blog with your beautiful photos, entertaining narratives and amazing recipes. It is the first email I open every morning and I usually use at least 2 of your recipes every week – and save almost all the others for future use. I have told every foodie I know to sign up for your blog, and I’ve so enjoyed watching the evolving production of your cookbook. The book is magnificent – a perfect transformation from your blog to this “coffee-table” worthy creation. Congratulations on this milestone accomplishment – a true amalgamation of your incredible skills, the dedication of your family and those of us, literally all over the world, who love your work. So what I’m most excited to see? – I’m most excited to see it ALL! Thank you for enhancing my life – and inspiring me to create beautiful meals. You have literally changed my cooking skills, repertoire and love of this art. I was hoping that someday you might consider hosting cooking classes. I am sure many of us would love to travel to Colorado and spend a day or two learning from you! So, Teighan, thank you again for sharing your talents – you are amazing! Did I mention that your book came out on my 10 year anniversary? I say it was meant to be!! So want to open it out and see what’s inside! My friend just gifted this cookbook to me for my birthday bc she knows how much I love all your recipes! I am most excited to see recipes that are simple to make even though the amazing picture may intimidate me! Can’t wait to try them all! I look forward to more ramen recipes! I am most excited for your pictures! Mine arrives today!! I am most excited to see/read and try all of your recipes – & to see your beautiful pictures! I follow you on Instagram and have tagged friends and liked videos to other giveaways but do not see the Kitchen Aid mixer as a give away on your Instagram. Wanted to confirm I followed directions correctly. Your thoughtful, quirky ways to make food and life so much better. With inspiring photographs. Desserts are my fave (chocolate, of course; remembering with glee that incredible Halloween chocolate cake…and all of that butter!!! https://www.halfbakedharvest.com/forbidden-forest-chocolate-butterbeer-cake/ ). So excited to have the recipes in book form! I’ve been following the blog for years and am so excited about the new cookbook! I’m most looking forward to seeing all those recipes! I’m excited for your imaginative recipes and gorgeous photography! I’m here for the dinner recipes but man those cinnamon rolls look amazing! I’m up for anything involving cheese and squash! I am so excited to add this book to my shelves and be able to see your beautiful photos and recipes in front of me while I recreate them. I can’t wait! Congratulations! I’m most excited to see all of your colorful dishes, along with some of those veggie based dished you make that I love! I am most excited about the dessert/baking portion of the cookbook! I am most excited about trying all the yummy and healthy recipes! I already follow you on instagram! I’m most excited to see the mouth watering photos you take of your recipes! I was most excited to get the cookbook because your recipes really make me want to cook – and want to cook more healthier food. I take a look at one recipe or one picture and I’m rushing to the grocery store to make it. My best friend and I had to figure out our top 3 recipes (It was very difficult to narrow them down), flagged them and we will be making them before the week is out! Pan Fried Feta with Thyme and Greek Marinated Olives, Chipotle-Roasted Sweet Potato and Quinoa Tacos, and Bonfire Brownies. Food coma night!! Congrats on the cookbook release! I’m most excited to see your gorgeous photography and recipes for fall desserts and simple weeknight meals. The Cheesy Oregano Chicken & Broccoli Pesto Panini looks delicious! I am excited to see nutrient dense, real food, ingredients coming together to present lovely, appetizing and nutritious meals. Meals that are both nourishing and nurturing, bringing friends and families together to enjoy and to give grace for earth’s bounty. Cheers! Also Dena (itsacupcakelife) and I (wsmciii) both follow you on the web and Instagram and have been entering your giveaways and tagging friends. Thank you for the opportunities you’ve shared! Congratulations on your success and wishing you much more! I’m most excited for your beautiful photography (and, of course, trying all the great recipes)! I’m excited to have new recipes and to look at all the wonderful pictures! I’m obsessed with your instagram. I am most excited to see the great and hearty recipes that will help me allocate “me-time” by de-stressing and bonding with my boyfriend while making them. Love the recipes,but LOVE the photos! They inspire me to get up and COOK! Liked and tagged friends on all the Instagram posts. I enjoyed every video too! I’m so excited to see the gorgeous photos in print! Im excited by all of the photographs and recipes – the pecan banana bread might have to be the first bake. MOST excited to see the desserts recipes that I could bake with my hopefully new KitchenAid Stand Mixer!!!! 😀 Cakes and pastries are my absolute go to for good and bad days! I’ve been following you for years. So excited for the beautiful photography and the unique recipes. The preview videos have been great! I’m most excited for the baking recipes and to see all the beautiful photography!! I followed and tagged on Insta. I’m excited about the dinner recipes to try something new. I love your recipes (and tried many of them), but the thing that first draws me in are your lovely pictures. And that is a toss up, but the picture makes me want to try the recipe first. I’ve been a huge fan of your blog ever since the spinach-artichoke stuffed beer pretzels, and every recipe of yours that I’ve tried has been fantastic. I was really excited about your cookbook, and it was definitely worth the wait! I’ve got a list that I can’t wait to try, but I’ve already made the short ribs and they were incredible!!! Thank you for your blog and cookbook and all the hard work you’ve put in to get this far! Wow! Just like the blog, your cookbook is amazing! I’ve already tried several recipes and am currently making the Spring Chicken with Ravioli. Thank YOU for amazing recipes and beautiful photography! Thank you Teresa! It makes me so happy to know you are enjoying the book! YOUR IMAGINATION EXPRESSED IN YOUR RECIPES MAKES YOUR PLACE IN CULINARY CIRCLES AT THE TOP. WHY NOT DISPLAY YOUR PHOTOS IN A ONE-WOMAN SHOW AT A TOP ART GALLERY. SELL NICELY FRAMED DECOR FOR EVERYONE’S KITCHEN. SELL COOKBOOKS, SIGNED PERSONALLY TO YOUR FANS FROM A TABLE IN THE GALERY..MAYBE DISPLAY SHOTS OF YOUR BROTHER DOING HIS THING. YOU ARE MORE THAN A WHIZ IN THE KITCHEN…YOU’RE AN ARTIST! Awh thank you so much! I am so glad you like my photos! Best cookbook I’ve owned!! I bought the cookbook a couple of months ago and have been absolutely loving it. Can I still get the free download of the additional recipes? Hi Lisa! I am so glad you’re loving it! Thank you so much!